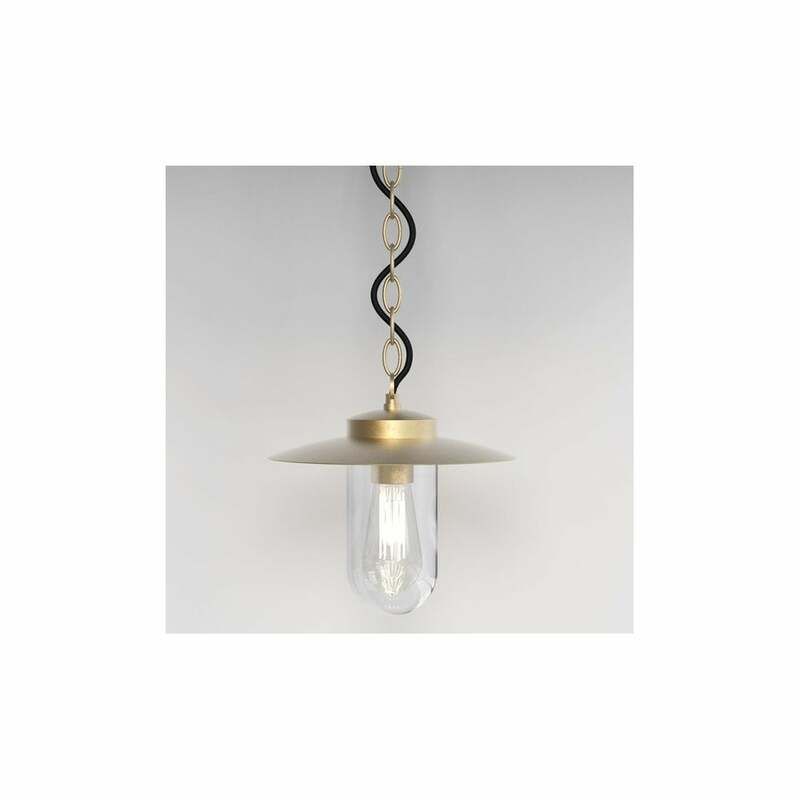 Astro Lighting Portree single light natural brass finish outdoor pendant is ideal for use in porch ways or under canopies around the exterior of your home. The product code for this Astro Lighting is 8506. The contemporary fisherman style lantern has a minimalistic style which is echoed by the clear glass shade that allows maximum light output to illuminate your garden at night. Double insulated and IP44 rated for outdoor use. A ten-year warranty is offered on all products within the Coastal collection, except those that have integral LEDs or drivers, which are subject to our standard three-year warranty. For these environments please browse their Coastal Collection. Also available in this range is a matching outdoor wall fitting for use in entrance ways or around the exterior of your home which can be viewed on our website.